Tomislav Debeljak took over from his father as chief executive of DIV Group, Croatia’s biggest private manufacturing enterprise. Passionate about his work and an eternal optimist, Debeljak expanded his business into one of Europe’s leading makers of fasteners, then into railway rolling stock components. In 2013, in a move that would have terrified lesser mortals, he started planning the takeover of Brodosplit, a shipbuilder set up in the 1920s and 1930s, but which still carried the burdens of its socialist work ethic. No one said it would be easy to acquire Brodosplit, let alone impose a new working culture. It took almost five years of tortuous negotiation, and more energy and capital will be needed to expand further. At that time, Croatia had a handful of struggling state-owned shipyards. “We saw how they worked and what problems there were,” he said. Debeljak and his management team observed a lot of corruption, especially in the purchasing and sales departments. “The cost of labour was 12-14% but losses were 30%. Something was wrong: Where was the money going?” It was estimated that corruption accounted for one-third and the rest was due to mismanagement. Political interference meant no one knew what anything cost. The European Union called for privatisation to stop the rot. It took six months to identify the sources of loss – up to EUR2 billion over the past 20 years, “and that was in good times for shipbuilding”, said an astounded Debeljak. 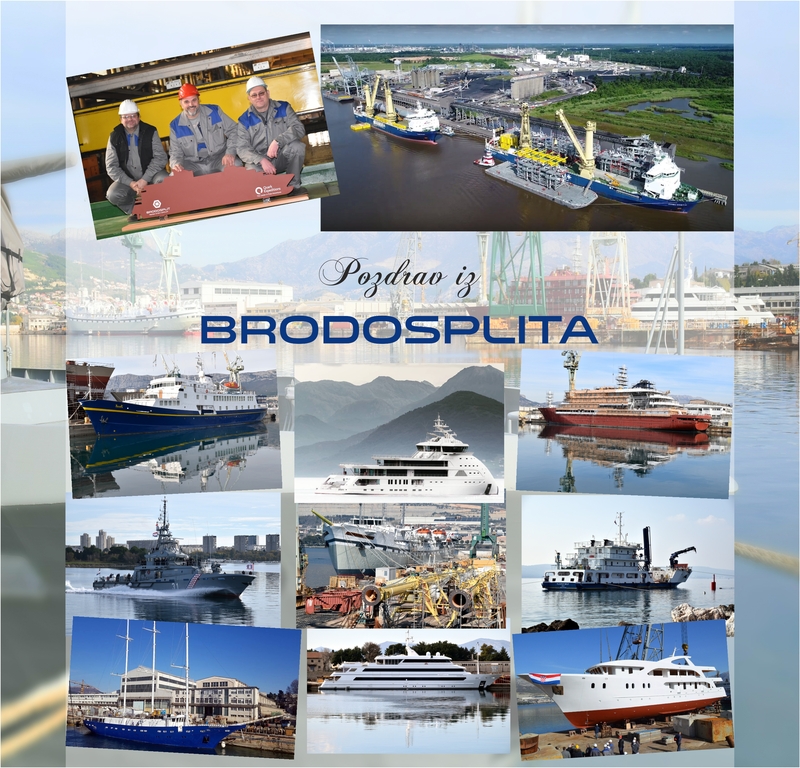 Under the agreement, 95% of the EUR1.5 billion (USD1.7 billion) restructuring costs would be written off by Brodosplit Group (shipyard, engineering, planning, engine making, etc), while DIV would invest EUR300 million over five years. Much of the write-off was to be funded by selling the land and premises to the government, leaving the cranes, machinery, and other equipment to the new owners, who were given a 40-year concession in return. With the transfer of ownership out of the way, the next obstacle was the workers’ “traditional thinking” inherited from socialist Yugoslavia. “People did not think financially: nobody cared about price,” Debeljak said. There’s a different outlook today. “Our labour costs were between China and South Korea but not the same quality. Now we produce tailor-made cargo ships at the same price as a standard Chinese bulker,” he explained. “We fired all the [3,400] employees and had to take a EUR10,000-15,000 hit for each of them. Then we rehired 2,200, asking them first whether they wanted to accept our terms or the union’s. Two-thirds voted in our favour. Overnight we cleared out 50-70% of the former-socialists, and a ‘new’ Brodosplit began the next day. Management has good relations with the unions, which are no longer involved in decision-making. “I want workers who are fulfilled, who take home a good salary, and make a positive contribution to the company,” Debeljak said. Winning contracts while the shipbuilder was itself under reconstruction has been tough, even with Croatia’s advantage of low labour cost, he said. The newly appointed Brodosplit management had to complete a two-ship order for Jumbo Shipping, which proved to be a crash course in modern shipbuilding. The first newbuilding contract, Jumbo Kinetic, was cancelled just before handover. Gradually a profitable orderbook has built up. Forty-one floodgates for Venice valued at EUR50 million were delivered in late 2015, along with four blocks for the bow of a Princess Cruises vessel being built by Fincantieri Monfalcone. Work was also completed on the world’s two heaviest lifters for Jumbo Shipping. The yard is now working on a second Venice floodgate order, plus patrol boats for the Croatian Navy and, at last, newbuilding ships. The brightest star is the world’s largest sailing ship, ordered by Star Clippers. It will be a five-masted, 164 m vessel with a capacity for 300 passengers. Although Debeljak would not reveal the price – rumoured to be about EUR100 million – he did say it will be the first sailing ship to have Safe Return To Port and that classification societies CRS and DNV GL were surprised that an “unknown company” such as Brodosplit could fulfil the project. He said the sails had been outsourced and the interior is by Molindis of Greece. Debeljak believes the peaks and troughs of the global shipbuilding cycle can be smoothed out by building ships for the group’s Brodo-split Shipping arm; these can be chartered out in lean times. The current fleet consists of a mega-yacht managed by Ocean Independence and two small cruise vessels that will be chartered after completion later this year. There is a plan for five 36-passenger sailing ships. Production has just started on four LNG dual-fuel box ships driven by MAN two-stroke engines made under licence. “They’re for the Baltic and we’ve already had a lot of interest from companies there because of the SECA 2015 0.1% sulphur limit. Costs are optimised so they will be lower than existing ships in the Baltic,” Debeljak said. “I believe we are the cheapest yard in Europe in this category when we compare our quality.” The ships will be built at cost using EUR200 million in group capital, with Brodosplit Shipping reaping the profits. Debeljak’s self-belief is irrepressible. However, he is prepared to acknowledge that the business has several hundred employees who are intensely loyal and this gives him enormous satisfaction. Brodosplit enters 2016 profitably, with a EUR25-30 million budgeted bottom line and an orderbook assured until 2018. Both the shipbuilding and engineering activities are poised to win business that should keep the company busy until 2022. That’s optimism. Hi there friends, its great article concerning educationand entirely defined, keep it up all the time.